Tell me please, is this not working properly? Did I do something wrong? Your markers have been moved way up on the map, and it's not normal. Try downloading the map icon fix file and applying the .ini tweaks, that should do it. Oh, and download the 4k version of this mod, there's too much unnecessary space in the 8k version and the borders are less impressive, or just get the satellite world map Combo, It's way better and less buggier than this mod. Does anybody have any idea of how I can bring back the vanilla map? 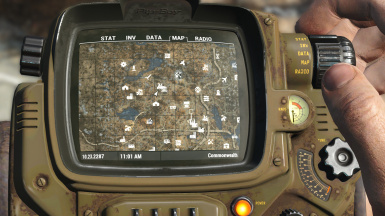 The Nuka-World map does not load anymore and whenever I use the pip-boy The only thing I see is commonwealth's map with a door icon on the top left corner of it. I've tried uninstalling the mod and resetting the Fallout4Custom.ini file but the map still exists in the game; and yes, I've removed all the relating folders and all the .esp files but it doesn't work anyway and still loads this buggy map and doesn't load Nuka-World's map. Works well with Far Harbor, though. I would really appreciate it if someone could give me a valid solution. can i use this for a mod i am making? ATTENTION: This mod is no longer being updated and it's creator, FloorBelow has not responded to bug reports for two consecutive years. A very similar mod, Satellite World Map Combo is the better option. Combo also works better with Zoom Out Extended for the 8k colored sat world map. Thanks for the suggestion, hadn't heard of that one. Thanks for the info. I wonder if a Bethesda update broke this mod, because none of the map versions are accurate any more. Stand on bridge - map says I'm on solid land. This was a great mod, though, and it DID work in the past. Ahhhhhh, Thanks Guruson - I've been driving myself crazy for days trying to get it to work (for Beyond the Borders mod). Thank you for pointing us to another updated mod. 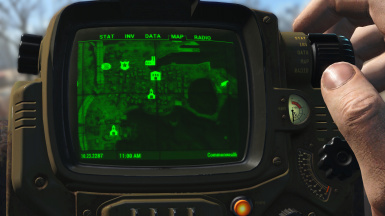 I disabled the pipboy fx which made my hand held pipboy screen more clear but it seems it did not disable the power armor pipboy fx. I can barely see the map now. 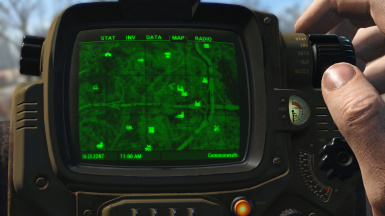 Nvm Fixed All white icons and "Player Markers being Caves"
So I'm trying to make my own pip-boy map for my own world space mod. I feel like this mod is messing it up, so I'm trying to uninstall it to see. 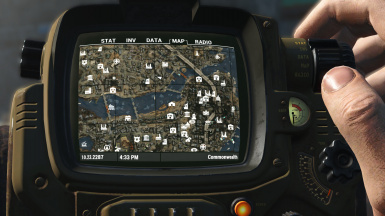 So I turned off the .esp and removed the tweaks to Fallout4Custom.ini , but when I go back in game everything is green, the map markers are unaligned with their normal spots, and the 4k map is still there. Its just green like normal. How do I fix this? This has to be the last mod loaded on the plug ins. That's not the right answer, I'm looking to completely uninstall the mod and get back to the vanilla map. BUT, it doesn't matter anyways because I've already fixed it. Yeah sorry I must have skips the uninstall part. I just seen the markers unaligned and not in the right spot. 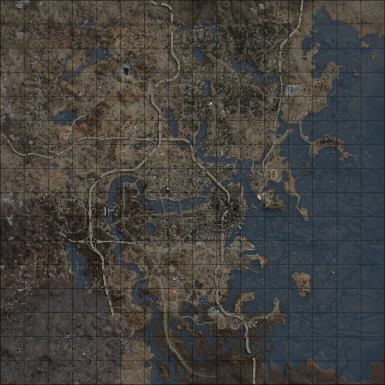 natezrepp "Hey i was wondering how you ended up getting back to the vanilla map"
I THINK by deleting the Satelite mod image from the F4 files. If you need to test a mod do it on a new game. Why when i installed a colored version, it is in monochrome version? and also, does this revealed the dlc map too? Does this include maps for the DLCs as well?